Anger is a normal human emotion that is healthy and adaptive. The word emotion includes the term “motion.” In other words, when a person feels an emotion it serves as important data on what needs to be done. For example, if an employee feels angry for being treated unfairly by the team leader, it can drive the employee to have a conversation about it to ensure more fairness at the workplace. But what happens when anger becomes “out of control” or feels disproportionate to an event? Anger is typically experienced with displeasure and high arousal. When a person feels angry he/she doesn’t enjoy the feeling. Anger is often experienced in the body with sensations of the fight-flight-freeze response (i.e., the activation of the sympathetic nervous system). For example, breathing becomes faster, the entire body becoming tense, and the heart pounds harder. This is the body’s way of saying something is wrong and action must be taken. People respond to their experience of anger in different ways. Some people hold back their reactions, and remove themselves from the situation or might even isolate themselves (i.e., flight). Some might become verbally or physically aggressive (i.e., fight). And others might become tearful, anxious and debilitated (i.e., freeze). Biologically speaking, more serotonin is associated with less hostility. But how each person responds to anger depends partly on their genetic make-up. For example, a study by University of Pittsburg has concluded a relationship between anger expression in women and a serotonin receptor gene. Another important factor is a person’s upbringing and what they have learned from their environment especially from immediate family members and caretakers. This is the classic nature-nurture explanation of psychological factors. How I work with anger in therapy depends on the client and what he/she presents with. For some people anger and the expression of anger is a primary problem. For example, they have a long history of aggression. They may have frequently gotten in trouble with the law. Their anger has a negative impact on their relationships. There may be a history of grossly inappropriate expression of anger in their parents. Other people may have anger present as a secondary issue to relationship problems or issues at work, or financial difficulties. A former client of mine expressed significant anger about her partner’s infidelity. At the root of this anger was a breakdown of my client’s sense of self-worth and an attack on what she had perceived to be a generally trustworthy world. In this example, anger wasn’t an issue in her life until this significant even or trigger (i.e., infidelity) occurred. Although in most instances teaching a client techniques to handle the anger better, to express anger in a productive way, to assert him/herself, set boundaries and ask for his/her needs can be helpful, treating the symptom (i.e., the anger) alone may be only a temporary metaphorical patch for a wound that needs to be treated differently depending on its source. 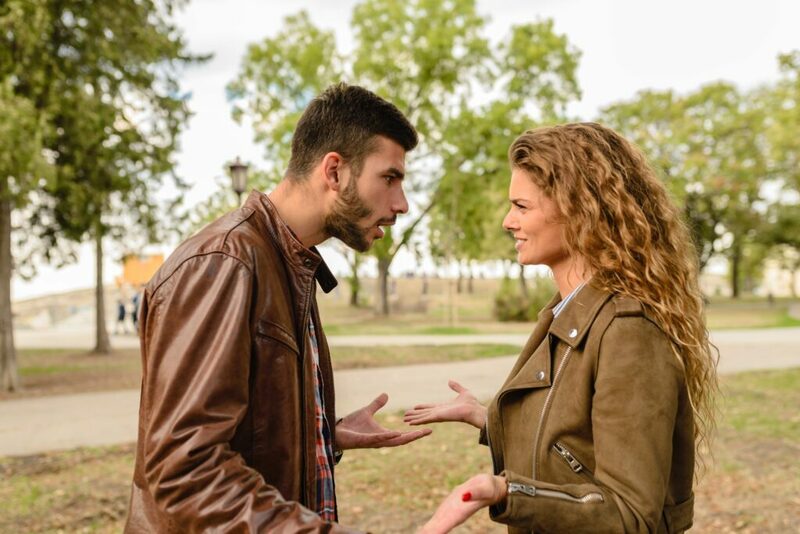 When relationship issues are causing anger outburst a careful review of the relational dynamics is crucial. Perhaps even inviting the partner to a session to better understand the context might be required. This needs to be carefully assessed as not all couples benefit from couple’s sessions especially in situations where there’s domestic violence. If work is an issue, the person’s problem solving abilities, their overall skills, values, opportunities and resources need to be discussed. Personal dynamics between various team members at the work place need to be reviewed. Are there cultural issues at play? Does the person have trouble with asserting him/herself but then blows up over small issues with colleagues? If anger presents with any other symptoms or behavioral issues such as depression or substance abuse, then concurrent treatment is necessary. A careful review of the person’s life story is crucial here. I consider trauma as any significant stressor that would have interfered with the course and stability of one’s life particularly in childhood when one doesn’t have the cognitive skills or emotional language yet to understand why he/she is feeling what is being felt. With this perspective I make room for processing many important life events in session, which in my opinion provide powerful insights toward healing. For instance, one of my clients described his memory of boarding school as significantly traumatic as he felt abandoned by his parents when he was a young pupil. This is not to say that boarding school is traumatic for everyone, but in my client’s experience, within the context of his family and the way boarding school was presented to him by his father, whom he often described as cold and critical, he was left with untreated depression for many years. Only later he was driven to better understand this as his depression had manifested as significant anger outbursts in his relationship with his wife during a period when he perceived her as cold and uncaring. The wife’s perspective was different. She explained that post-delivery she felt depleted, tired, and was going through post-natal blues. Their relationship and home life was changing. But this was significant because my client was triggered by feelings of abandonment though completely unintentional on behalf of his wife. And finally, the question of how deeply engrained the anger is and the extent of the expression of anger will warrant medical considerations as well. Anger and hostility increases the risk of heart disease in generally healthy people. The risk multiplies in people with predisposing risk factor for heart disease. In these cases I would recommend a full medical and potentially a visit to a psychiatrist as well. One thing that remains constant in the therapeutic work and working with different scenarios is validating the emotional experience, the anger, and all other emotions that may surface. This does not mean condoning aggression or hostility but allowing for better understanding of the emotional experiences that precede the behavioral response. Together, and through the power of identifying and processing the experiences, over time, relief is experienced. The more complex the issues at hand the longer psychotherapy will take, but no case or no individual is hopeless. Maybe anger is what brings a person to my office but all emotions and all aspects of a person’s experience are welcomed in sessions. The systematic and controlled experience of the richness of the client’s emotional world can over time, offer the client the psychological tools to work through any problem no matter how difficult the circumstances.